battery fully charged . A 100% fully charged battery can support a heavy user to vape at least 6 hours! Most heavy cigarette smokers love this obviously because of the long battery life and because it hits hard! The benefits of the Tank attached to your Vintage Joye™ Ego is that you can fill this bad boy up and it’s equivalent to a full pack of cigarettes! 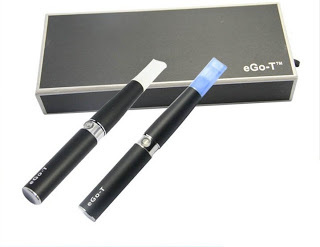 Vintage Joye™ will have the new Ego-T available for purchase by Wednesday June 8th, 2011. Check out the details and see photos of the NEW EGO TANK by visiting our website.